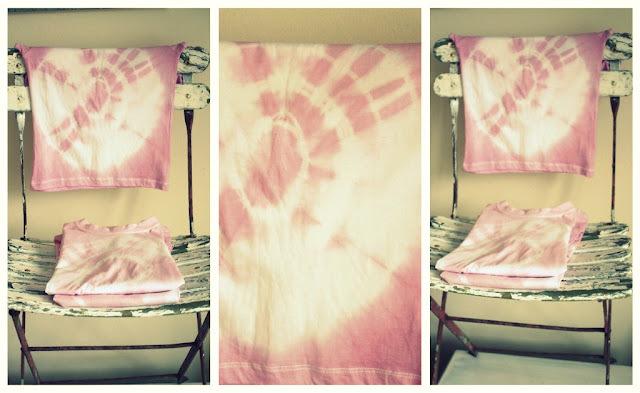 ok..so i never thought i'd say *get your tie-dye on*...! but i never went tie-dye hippie! never a tie-dyed skirt or singlet top in sight..
you all to *get your tie-dye on*! "it's all in the way you wear it"
i'll get those little rock stars to pull a name outa their guitar case over the weekend! Those pink tie-dyes are just too cute! 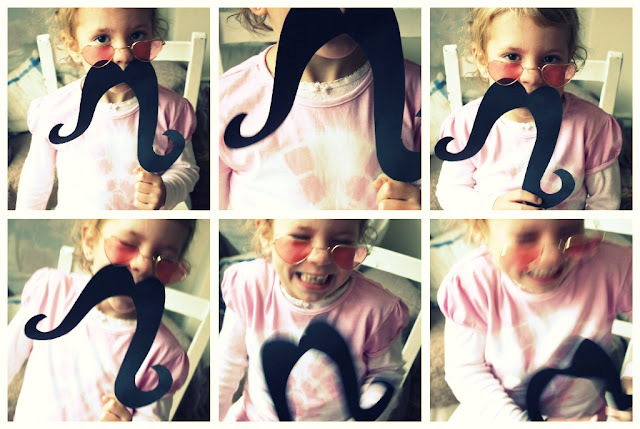 And the moustache tops the look! So fun! I bet my little man would love that craft! Oooh very tempting indeed! Might have to get us some pretty dye colours too. I love your pink ones and seriously hope there is one in your size!! Whoa Man, very like groooovy! Loving the pink and white look - so pretty, nothing like the gaudy shades off the past. 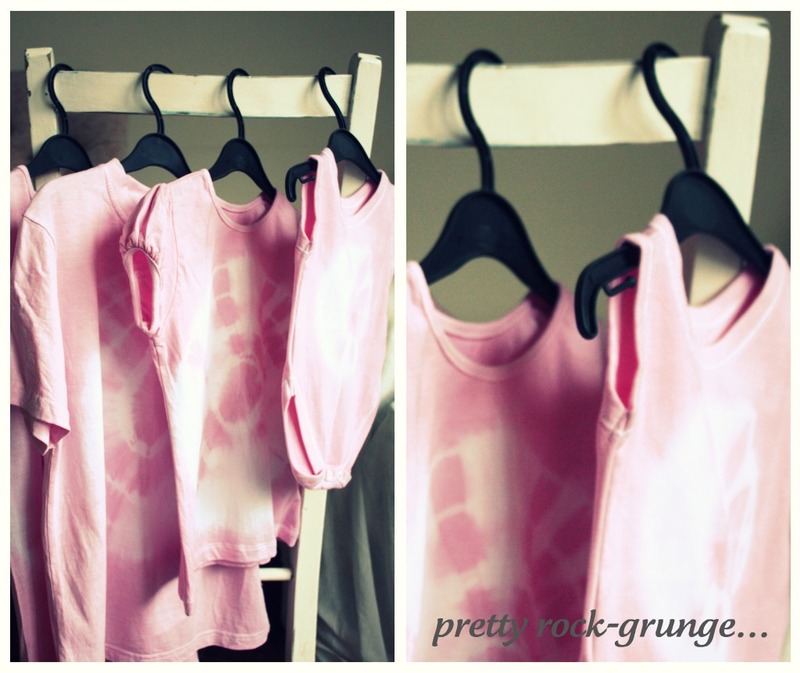 This is a great idea....might have to head to Target or Kmart to pick up some cheapie t-shirts to get crafty with. Enjoy your lovely open fire.